Brides of Asia is coming to Perth this year, partnering up with Perth’s #1 Bollywood fashion store ‘Khazana, Treasures of India’. 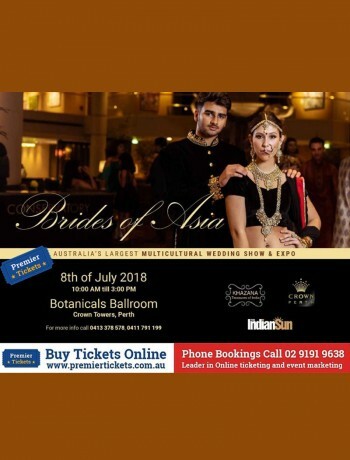 Brides of Asia is Australia’s most loved wedding show, showcasing bridal wear and groom wear from all over the Asian region. 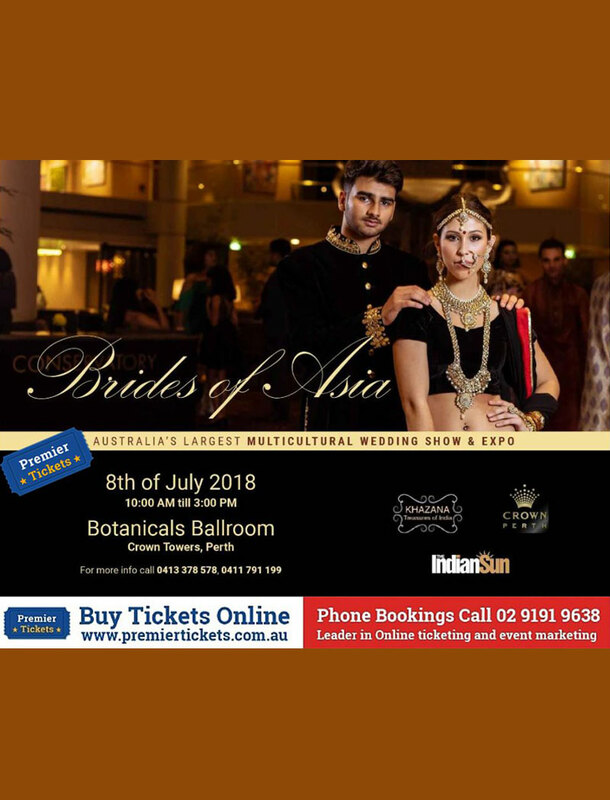 Brides of Asia is Australia’s most loved wedding show, showcasing bridal wear and groom wear from all over the Asian region. Premier Tickets is an online event marketing and ticketing agency. Premier Tickets will NOT be responsible for any changes related to the event schedule, artist, venue or cancellation and refunds related to the tickets for BRIDES OF ASIA.